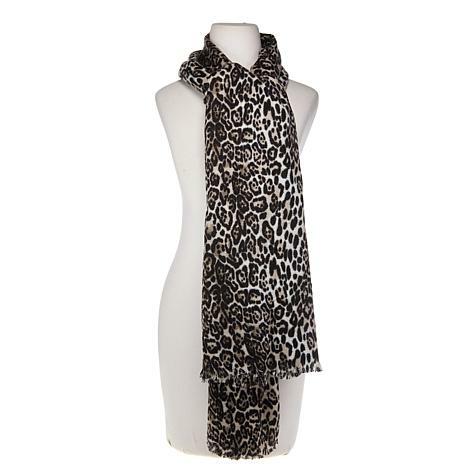 Animal prints have a way of turning heads, and this wrap promises to achieve the desired attention. Perfect for everyday use and great for travel, it's light and easy to carry in your tote or vehicle, or even keep at work for those freezing conference room meetings. There is so much scarf that I'd get lost in it. So I'm going to use it as a table runner. Yes, it's that big. I can recommend it if you want a really big scarf. Oh how we love our scarves! 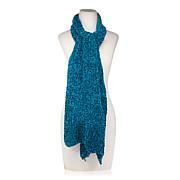 They elevate an outfit from basic to fabulous with color, texture and softness. 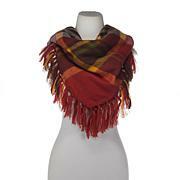 This distinctive wrap features diagonal pleating and a fringed border. Done in a classic combination of navy, beige, charcoal and light gray, it will certainly punch up a monochromatic outfit. The ease and eclectic style of a ruana makes it a welcome addition to any fashionable wardrobe. And with this reversible design, you get two classic looks: plaid and herringbone. Create a cozy look with leggings or jeans and boots, or layer it over a mid-length fitted skirt.